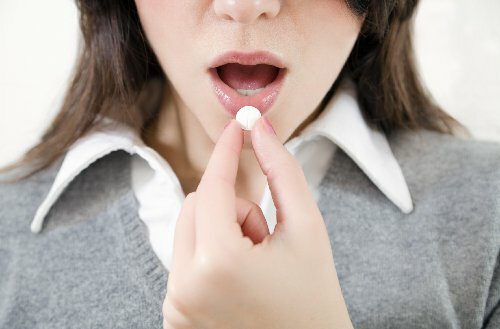 Home » General Health » Is There a Pill to Help You Live Longer? How many times have you dreamt of a magic pill to help you live longer? Well, it might not be that far away. Now I know I’ve written you about the fountain of youth before. And because of my relative distrust of the pharmaceutical and supplement industries, I tend to focus on scientifically proven methods to battle aging, like a proper diet—rich in fruits, vegetables, proteins, and healthy fats—exercise, and staying socially engaged. But, I have a little something new for you, something you might really be surprised by. A single pill that increases longevity and battles the health conditions associated with aging might be on the way. If we look at the common denominator for so many health conditions—things like heart disease, cancer, dementia, Alzheimer’s, and cognitive decline—we’ll see that the risk for all of these conditions tends to increase with age. Of course, the likelihood of experiencing these conditions in old age is typically a result of lifestyle choices made in the past—your body inevitably gets beaten down over the years—but it doesn’t mean that the prospect of a magic anti-aging pill doesn’t sound mighty nice. It might help reverse honest mistakes you may have made. A Pill to Slow Down Aging? A research team at the Albert Einstein College of Medicine recently received approval to seek funding to assess the efficacy of type 2 diabetes drug “Metformin” on overall longevity. The popular diabetes drug reduces glucose production in the liver and increases sensitivity to insulin. Studies have shown that Metformin—used for 30 years to treat type 2 diabetes—can have other benefits for healthy aging. It’s possible it might delay cognitive decline, prevent heart disease, and even lower the risk of cancer progression. Its ability to potentially thwart these conditions makes it very attractive as an antidote to aging. What we’ve seen so far is that people who take it to treat type 2 diabetes have experienced later onset of the aforementioned conditions. And experimental tests on mice, worms, and flies have also shown anti-aging benefits. The researchers have been approved to seek $50.0 million in investments to fund their work on humans. If they get it, they will begin the TAME (Targeting Aging with Metformin) Study, which will examine 3,000 volunteers between 70 and 80 who have cancer, heart disease, or cognitive impairment, or are at risk for such ailments. At this stage, folks, I wouldn’t hold your breath or abandon a healthy, natural lifestyle. By testing the drug on people with existing conditions or those who are at risk, it tells me that they are looking to buy time for those who are already ill. It might only increase the length of life rather than the quality, but that’s something very important to consider. Not to mention, if this treatment does prove to be effective, it will be years before it’s ever available—if it is at all. “TAME-ing Aging,” Alzheimer’s Drug Discovery Foundation web site, 2016; http://www.alzdiscovery.org/cognitive-vitality/article/tame-ing-aging, last accessed August 22, 2016.